The honest response is that i never in a million years thought i would ever play WoW. As an old school FFXI player, i can remember WoW’s release coinciding with my first ever max level character. A feat that took me 8 months at the time to accomplish. 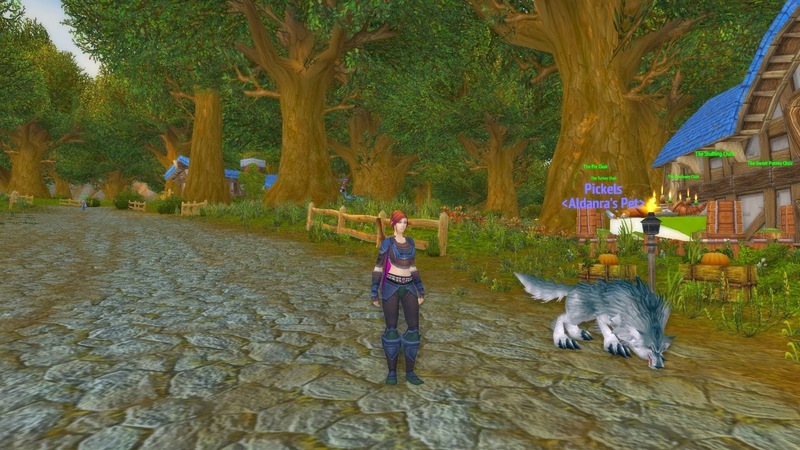 The word on the street at the time was that this new MMO made leveling easier without the need for groups grinding exp. I was actually disgusted at the notion of cooperation not really being needed to progress in levels. Despite never having tried the game, i became obsessed with bashing and denouncing it every chance i got. “It was too easy” or “it’s for little kids” were tossed around any time someone even mentioned it. Looking back at it now, most of my responses were due in part to the realization that we were losing a hell of a lot of players to WoW and i resented that. My biggest reason for not playing it was actually the art style. I hated it. To this day i’m not really a fan but i can see why many enjoy it. I’m more of a fan of realistic looking characters, which i can identify with much easier. The low poly count, while contributing to the smoothness of the game, didn’t help convince me to get over the art either. I guess you could say i was a graphics junkie and WoW offered me nothing in that category. I had just stopped playing GW2. My main reasoning for doing so, despite loving the majority of the game, was due in part to how much it made me miss the trinity. I didn’t enjoy the PVE aspects at all and since i’m not much of a PVP’er, i decided to move on. After a short stint in EQ2, which i absolutely loved, i decided to give WoW an honest chance. My issue with EQ2 at the time was that i found it incredibly difficult to get anything done without a solid guild. I’m usually in favor of this but i was unsure of my commitment to the game so i didn’t want to join a guild and then stop playing. I’m usually very loyal to guilds or groups i decide to join. It was around December of 2013 and i had noticed that WoW was on sale for $15, which included every expansion plus MoP. I said what the hell and went for it. It remains very fresh to me eight months later and so much so that I’ve preordered the upcoming expansion. Whether or not i continue playing down the road remains to be seen but so far so good. 2. What is the first ever character you rolled? My first ever character was a human female Hunter. This was not my first choice though. My favorite archetype, and one i played mainly during my FFXI days, was a Dark Knight. Naturally this made me want to roll a Death Knight. Much to my disappointment, i soon realized i could not roll one until i reached level 55 on another class first. My choice of Hunter came down to always being a fan of ranged bow classes as well. 3. What factors determined your faction choice in game? I always play a human in any MMO i play. Well i shouldn’t say always i suppose. I played an Elf in XI and always regretted it. Had we had the opportunity to race change in that game, i’d have been the first to do so. The choice of faction was made for me since humans are Alliance. Of course this changed when i ran into some friends that were playing as they convinced me to reroll to Horde. I obliged and made the switch to blood elf, which honestly look much better that humans in WoW. I’m not a fan of the overly bulky look humans have going but that’s for another time. Since i have not been playing long, i don’t have any great stories. All my most memorable moments of crazy kills and drama happened in FFXI. 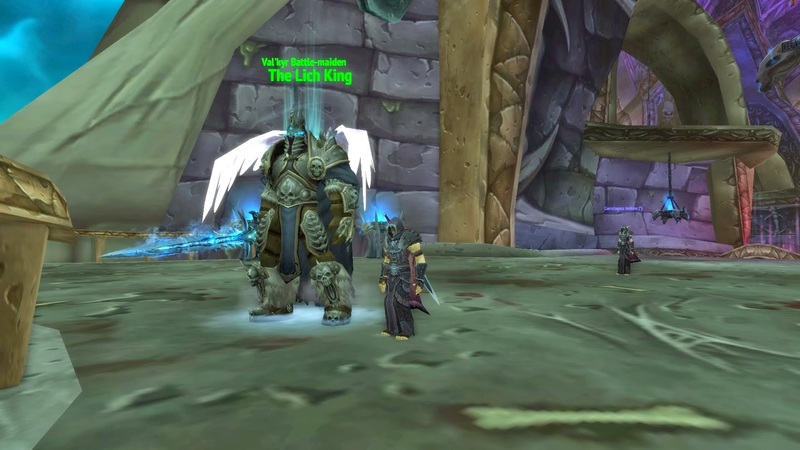 I will say that when i finally unlocked the ability to make a Death Knight and created my first one, i felt that i had finally arrived. I felt more at home if you will. I actually have two aspects of the game that i love. The first one being the super smooth and responsive combat. It may sound crazy to players that are used to it but I’ve played enough MMO’s in my time to understand that this is a rarity. The average typical MMO combat outside of WoW is clunky and slow with terrible mechanics that may make a player want to punch puppies. There are a few exceptions of course. My second would be the classes themselves. They’re all pretty fun to play and allow for multiple ways to be played. You’d be surprised how many MMO’s force you into one play style for each class. 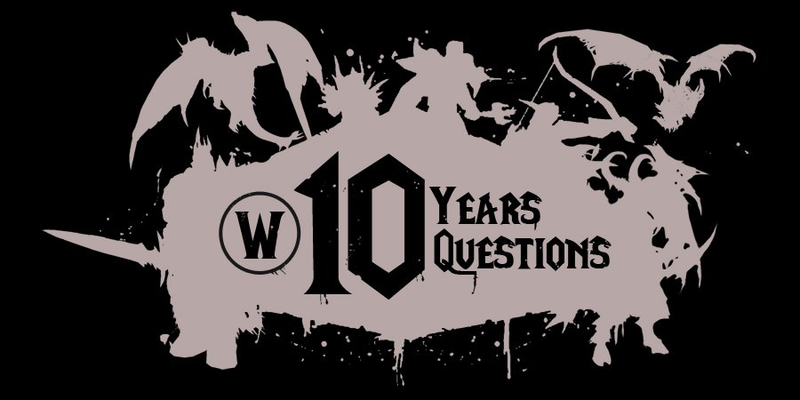 Want to play a Death Knight? Then you have to be a tank! It’s incredibly nice having the option to switch roles without having to switch classes. I get to play the class i enjoy without having to play the role i do not. I absolutely despise the Outland zones while i absolutely adore the Wrath zones. I tend to just fly around ICC and Ulduar when i have nothing else going on. Taking in the grand scale of both places makes me feel all warm and cozy inside. Ignoring all the snow of course, even though i love snow. I’ve been playing continuously now for about eight months. I never thought i’d last this long honestly. I have a very old school mentality of playing one MMO for very long and not bouncing around. At least that’s what i want to do. This hasn’t been the case at all these past four years. I’ve recently just passed GW2 in hours played with 1700 and am close to reaching and surpassing my time played in Rift which would put WoW second behind my ridiculous 31,000 hours played in FFXI. Story quests yes. Fed ex quests and exp quests no. I can’t remember the last time i actually even looked at a quest bubble, let alone read one. I’m just not interested in the back story of an NPC i’m killing rats for. Give me my gold and i’ll be on my way. A pretty large one actually. I regret not giving the game an actual chance a long time ago. I had these preconceived notions of the game that i refused to look beyond out of some unfounded loyalty for a game i was playing a decade ago. Not to say that i don’t have issues with the current game because i have a ton, but i feel i could have been enjoying myself in the game a lot earlier had i overcome my stubbornness. I wish i could say none but that wouldn’t be true. It’s amazing how much one can accomplish when they’re not forced to be in game 24/7. A decade ago i was actually on call at all hours of the day for the MMO i was playing. It required a ridiculous amount of hours to accomplish anything. While i’m not so much a fan of the complete opposite side of the spectrum that WoW decided to go, it’s nice being able to get some sleep now! This didn’t start with WoW, for me anyways, but it has continued so i felt i should mention it.